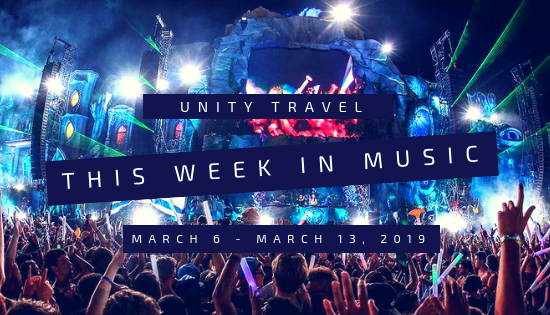 Welcome back to Unity Travel’s Weekly newsletter! Your source on all things music, pop culture, and current events. We’ve all been there: watching the clock countdown as you wait for concert tickets go on sale. You have 3 tabs open, ready to hit refresh the second the clock hits 10:00 a.m. Everyone in your groupchat is also ready to scoop them up before they sell out. 10:01 hits, Ticketmaster crashes, next thing you know, the concert is sold out and scalped tickets are being sold on Stubhub for 4x the price. deadmau5 knows this is a major problem and is taking steps for his Cube 3.0 stage show to keep the ticket scalper bots at bay. In a video shared via his social media accounts, deadmau5 (real name Joel Zimmerman) said that the “crazy number of tickets that are ripped off by bots” had made problems leading up to previous tours. By utilizing the Ticketmaster Verified Fan technology, he hopes to ensure that more tickets will find their way to his fans first and foremost. The Verified Fan system calls upon attendee hopefuls to register ahead of time so that Ticketmaster’s algorithm can analyze them and verify their legitimacy. Registration for deadmau5′ Cube V3 tour closes on April 1st, 2019. End Of The Rainbow event, planned for Friday, May 24th through Sunday, May 26th at the Gorge Amphitheatre, has been postponed indefinitely with an undetermined date. Your original tickets will not be honored for the new date if rescheduled. End of the Rainbow’s official website is down, and its social media accounts have been taken offline. Bassnectar was scheduled to headline the rap and dance music-focused festival, and Lil Uzi Vert, Young Thug, Griz, Trippie Redd, Flosstradamus, STS9, Santigold, Gogol Bordello, Tom Morello, Trippie Redd, Vic Mensa, Flosstradamus and more were also set to perform. You can still get your fix at the Gorge at Paradiso! Catch Skrillex, Kaskade, Alison Wonderland + More. Click here for more info! South African producer Daniel Baron has filed a lawsuit against David Guetta, claiming the superstar plagiarized a melody of his track “Children of the Sun” (2016) in Guetta’s 2018 hit “Light Headed” featuring Sia. Daniel Baron’s “Children of The Sun” was released in 2016 and stands out as the producer’s most successful release to date. He felt a “mixture of shock, disbelief, and honor” when he heard “Light Headed” for the first time. Baron claims Guetta heard his song when he traveled to Johannesburg in 2017 for Ultra South Africa, as it was enjoying extensive radio play at the time. A performance by the infamously masked DJ Malaa at Bassmnt in San Diego was cut short by the cops – or so it appeared. Fans captured video of the masked DJ/producer getting taken into custody. However, they have been quick to point out some inconsistencies. The first thing to point out here is that the arresting police officers did not remove Malaa’s mask prior to cuffing him and escorting him offstage. Since Malaa wants to keep his identity secret since it is a key element of the Malaa brand, it would have made for a convenient oversight on their part. In addition, none of the officers tried to stop the audience from recording the scene. It’s seemed that fans were encouraged to get as much captured. It has also been pointed out that one of the cops was recognized from a viral video and is an actor. A staged detainment certainly fits well within the rest of the themes around the Malaa project. Between efforts with titles like Illicit EP and Illegal Mixtape, the G house/bass house artist certainly hasn’t tried to avoid any association with criminality. You can watch a video of the stunt here. Book Your EDC Trip With Us! The Newly Remodeled Pyramid rooms feature slanted roofs and are the standard hotel option available for this hotel. Warm rooms have traditional furnishings, flat-screen TVs and Wi-Fi. Suites offer soaking tubs and separate sitting rooms; some have wet bars. Pyramid rooms and suites have slanted walls. The warmly furnished rooms have floor-to-ceiling windows (some overlooking the Strip), free Wi-Fi, flat-screens, living areas, and marble-floored bathrooms; suites add whirlpool tubs and minifridges. One of the only hotels on the strip with FREE parking. This lively Big Apple-themed casino hotel features several towers built to resemble the New York skyline. Sophisticated rooms have marble bathrooms, Wi-Fi and flat-screen TVs; suites add whirlpool tubs, minifridges and Bose stereo systems. Room service is available. Not anymore! Enroll in our Solo Traveler Program! You book a portion of a room, we pair you with other Solo Travelers based on interests, musical tastes, and preferences! Meet your new Festival BFF! Solo Traveler Rooms available at both the Luxor and Treasure Island! April is almost here! Join us at our next event, Days on the Green in Phoenix! Get ready for the inaugural Days on the Green Music Festival, a 2-day weekend event taking place on April 19 – 20, 2019! Come for the good vibes and chill with the best of reggae, alternative, & punk performances! Book your hotel room for EDC with us at some of the best hotels on the Las Vegas Strip for significantly below market rate! Traveling to EDC Solo? Book as part of our Solo Traveler Program! Hotel Rooms & Solo Traveler ON SALE NOW! Ever After Music Festival is an experience for all to share. A fantasy getaway experience with the sounds, the stunning visuals, and high class performances for you to have an unforgettable weekend. Hotel Rooms, Shuttle Passes, QUBE Tent Rentals, Group Camping, RV Camping, Single Camping Passes, Tickets & Payment Plans. ON SALE NOW! The annual Washington festival at the beautiful Gorge Amphitheater returns June 14-15 with what is sure to be another stellar year, and it’s more affordable than ever. Cabanas, Tables, Hotel Rooms, Shuttle Passes, GA wristbands, VIP passes, Camping Passes, and all packages are ON SALE NOW! Stay at the Route 6 Ranch, the official campgrounds of Cavendish Beach Music Festival in, Prince Edward Island this July 5-7, 2019. Catch Carrie Underwood, Hunter Hayes, Eric Church + more! QUBE Tent Rentals, Camping Passes, RV Camping, Festival Tickets, and Payment Plans! ON SALE NOW! Go to www.Unity.Travel/CBMF! 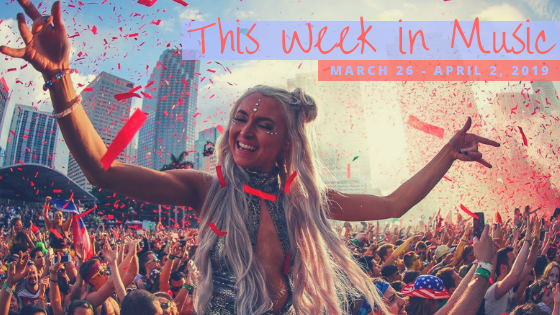 4-day annual music & arts festival with camping, multiple stages of music, theme camps, daily activities, yoga, meditation, late night parties & more! Camping Passes & Festival Tickets ON SALE NOW! The aquatic fairytale comes alive with multiple custom stages, world-class production, and a unique variety of dancers, cirque acts, art, workshops, food trucks and even a giant splash pool! -Hotel Rooms, Round Trip Shuttle Passes, QUBE Tents, Camping Passes, Solo Traveler, & Tickets. ON SALE NOW! Go to www.Unity.Travel/Imagine! DJ Cats! This graphic was made by @Cawtuh on Twitter.